Looking for private in-home or in-studio Mandolin lessons? Our Somerset teachers are ready to get you started. Find your teacher today! Check out some of our most popular teachers near Somerset, NJ including New York, Brooklyn, Bronx, Philadelphia and Jersey City. I have taught for 18 years, giving both private and group lessons. I am a professional musician, having played in numerous bands, recorded and played shows. I have taugh all ages, and all elvels, and all styles. I play a number of instruments including piano, guitar, bass, violin, banjo, mandolin, and harmonica, in addition to writing and singing. I took private lessons for over 10 years, and also studied music in both high school and college. s well. I try to show students that learning music is a lifelong pursuit that can provide all types of fun and personal fulfillment, in addition to being a potential career and social outlet. After 3-6 months, the student will be playing songs, good ones, not just scales. They will also have learned basics, such as chords and scales, as well as sight reading. Basement converted into music studio with instruments, and piano and keyboard. Parents can sit in on lessons. Street parking available. I provide all lesson materials, listening examples, and, on occassion, an instrument. I often use my laptop to play songs and tutorials for students (who don't buy records like we did in the old days.) Generally, students must provide instrument. I tailor my lessons based on three factors: a student's interests, their ability, and their amount of practice time. I do not use a cookie cutter method of teaching because each student is different. I have studied, formally and informally, rock, pop, blues, jazz and classical. My specialties are rock and blues. On occasion, I will use method books, such as the Schirmer books for piano, but only if the student clearly seems to benefiting from them. For those who are new to playing music the hardest thing for some to master is rhythm/time keeping. It is the black and white right or wrong of the music world. Often times our want to progress quickly is hampered by skipping over the basic building blocks of rhythm and time keeping. Can't find a teacher in Somerset, NJ? "Gio is outstanding!look no further." 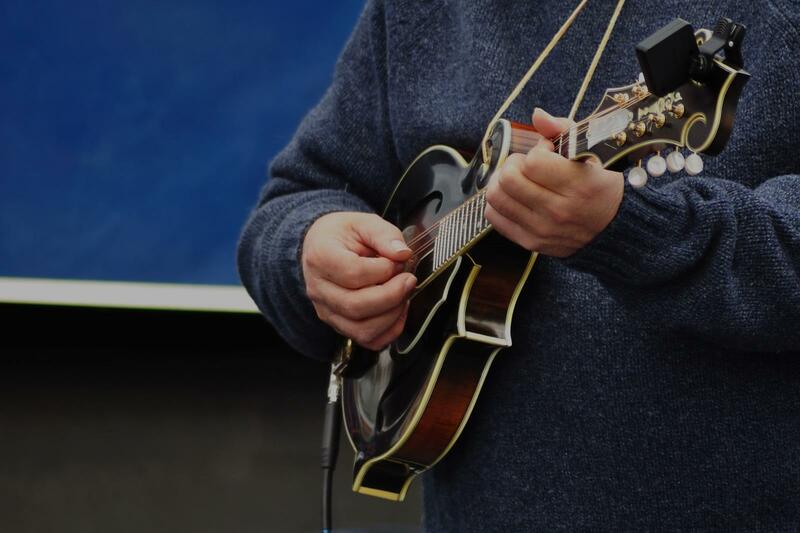 "Ben is a fun mandolin teacher and very thoughtful! He brings great tunes and gives helpful feedback to improve how you play." New York, NY teacher: Ben E.
bsolutely recommend Concetta for anyone looking to learn a musical instrument." "Great experience. Got songs and chords, but also technique and cultural info around the various styles." h her, and now I feel prepared and comfortable when I play at jams. Tara taught me a wide repertoire of tunes. She taught me ways to play different chords, how to move chords, how different players may use different chords in different styles, how to read guitar chords, how to adapt when guitars use capos, and how to simplify or add chords. She has really good insight on how to start improvising and taking breaks. I think she adapts her teaching to use the technique that will help make the concept make sense to you. She is a lot of fun to learn from, and it is super inspiring to watch her play. Tara is an awesome teacher, and I highly recommend her!" "Jim is a very good instructor for me. He has great patience with me and proceeds in an orderly professional manner." rto for Mandolin. This feat was accomplished by Concetta's knowledge, understanding and compassion for this student who was clumsy, awkward and with little self confidence. I now know where I want to go with the Mandolin and with Concetta's guidance and wisdom, I know I will be given a strong foundation to achieve it. This has been the best experience for me and I know it will also be for you as well....:)"